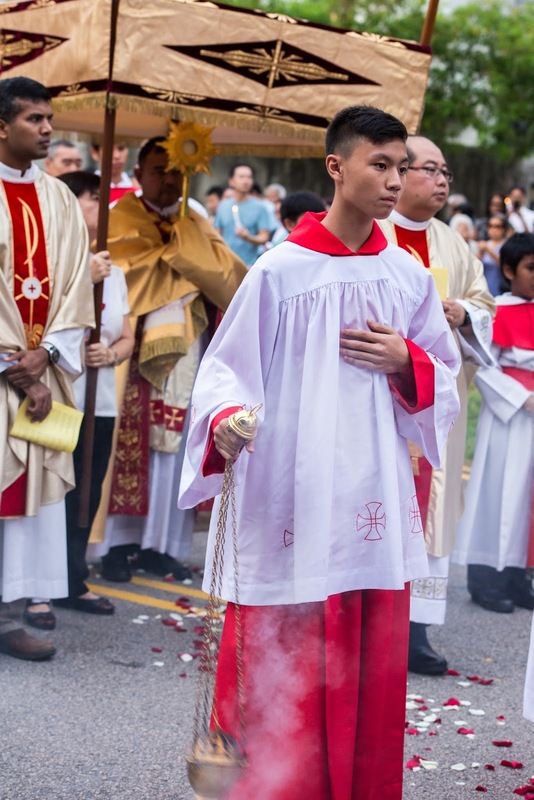 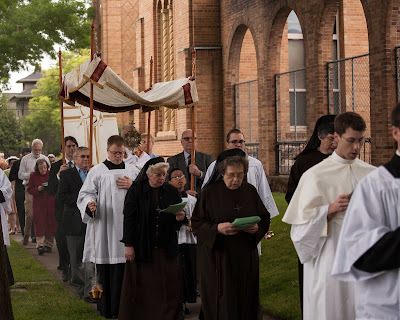 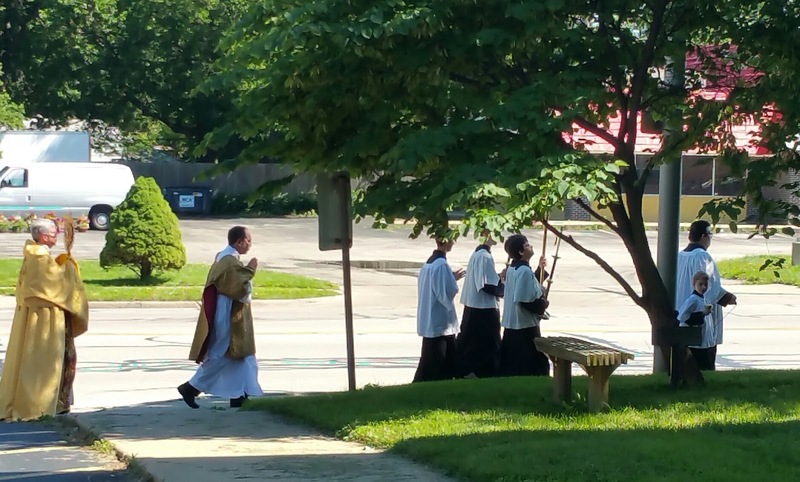 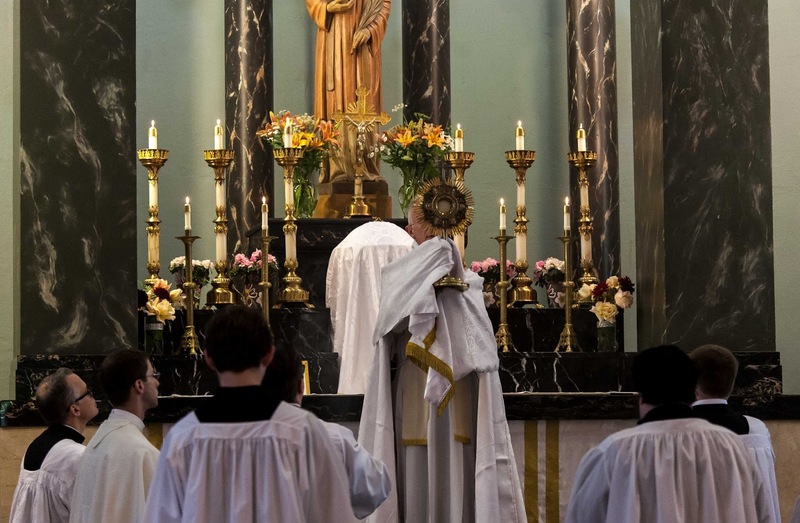 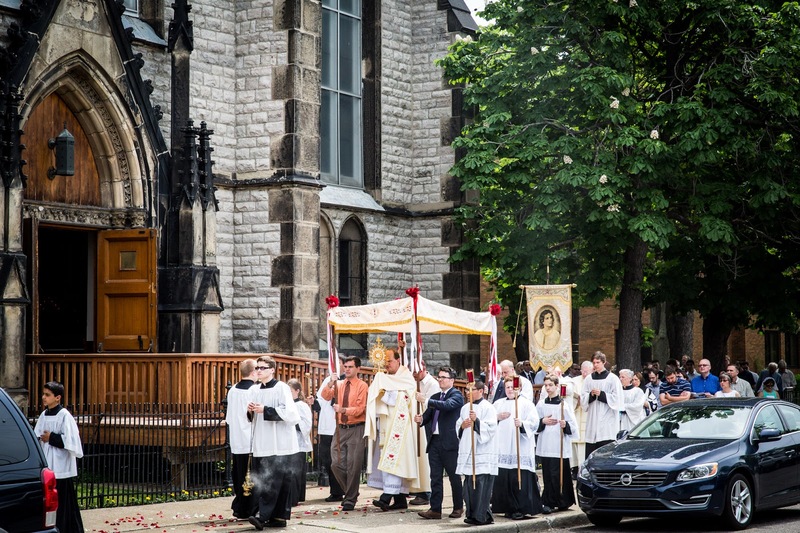 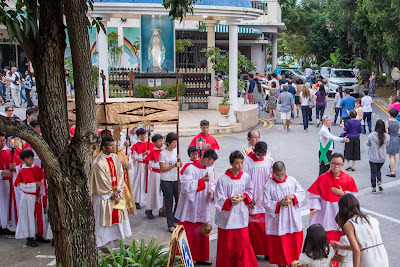 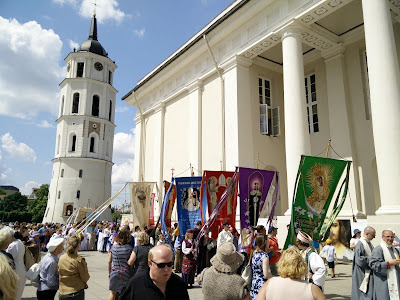 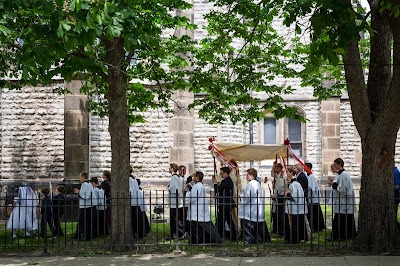 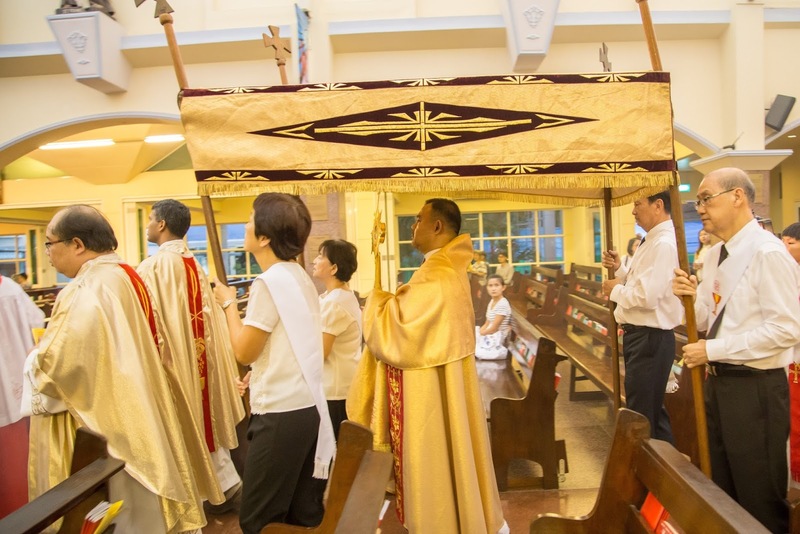 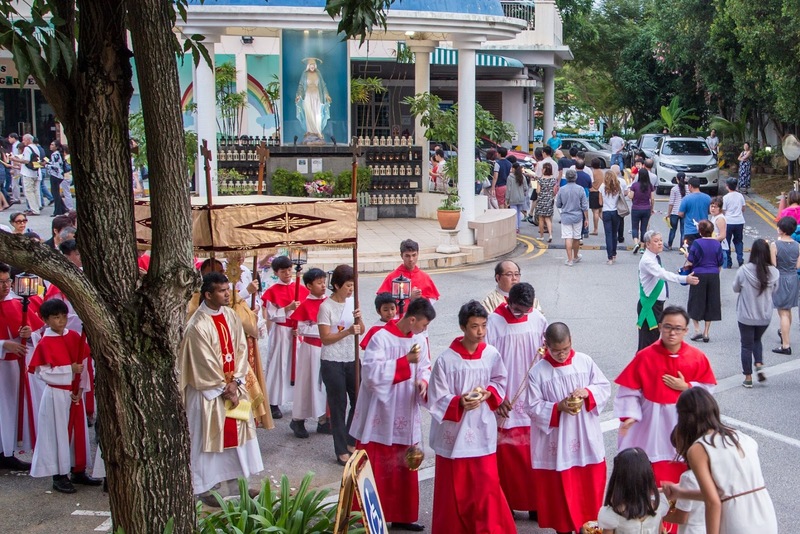 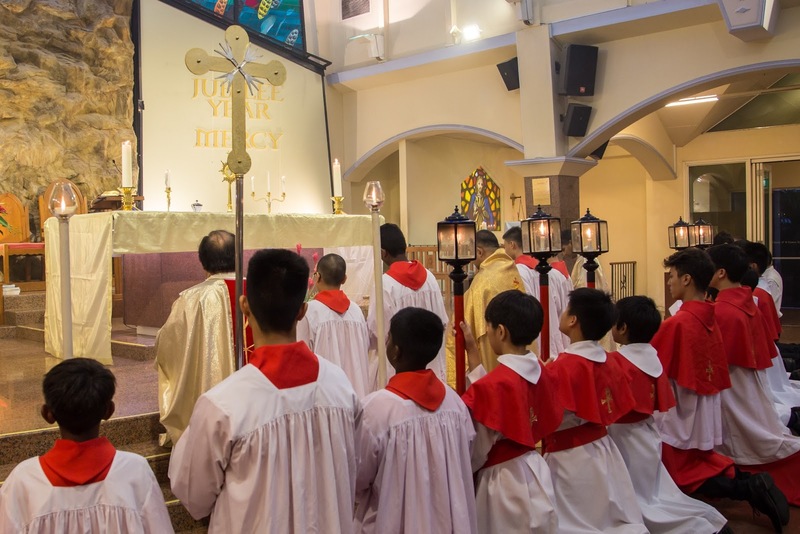 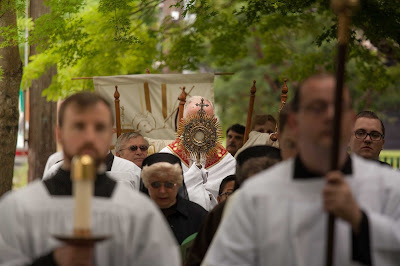 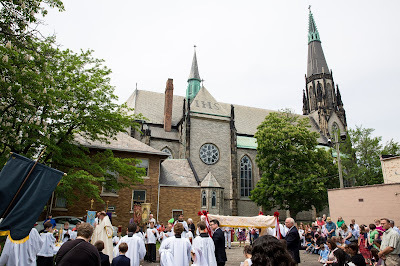 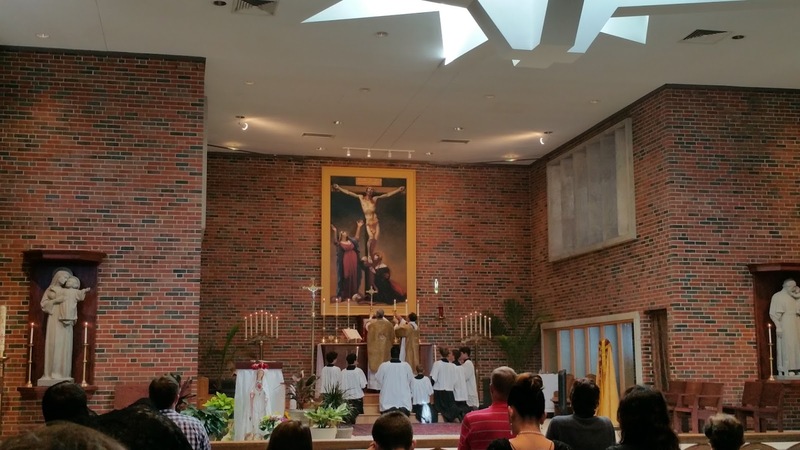 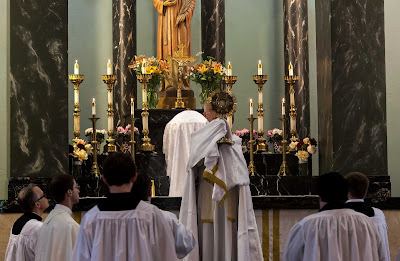 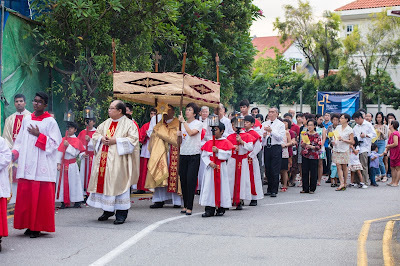 Here are some more photos of Corpus Christi Masses and Processions from around the world. 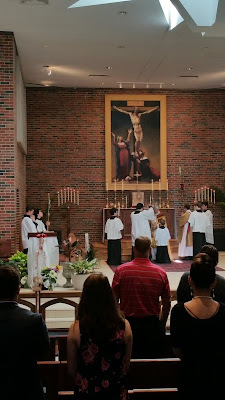 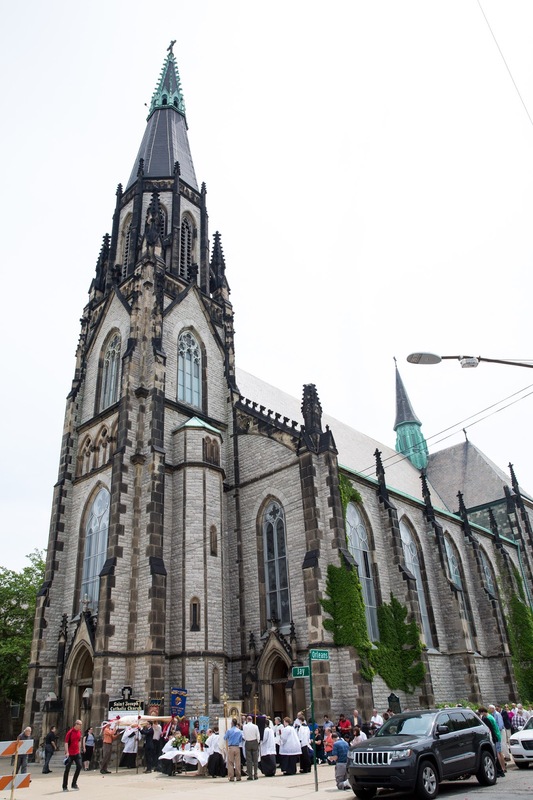 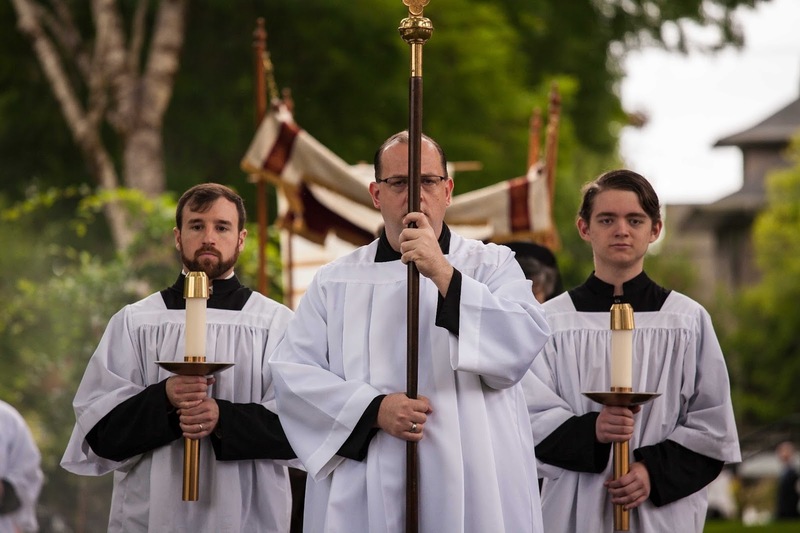 The first is a video from our good friends of the Schola Sainte Cécile; enjoy the beautiful singing of the Sequence Lauda Sion with instrumental accompaniment. 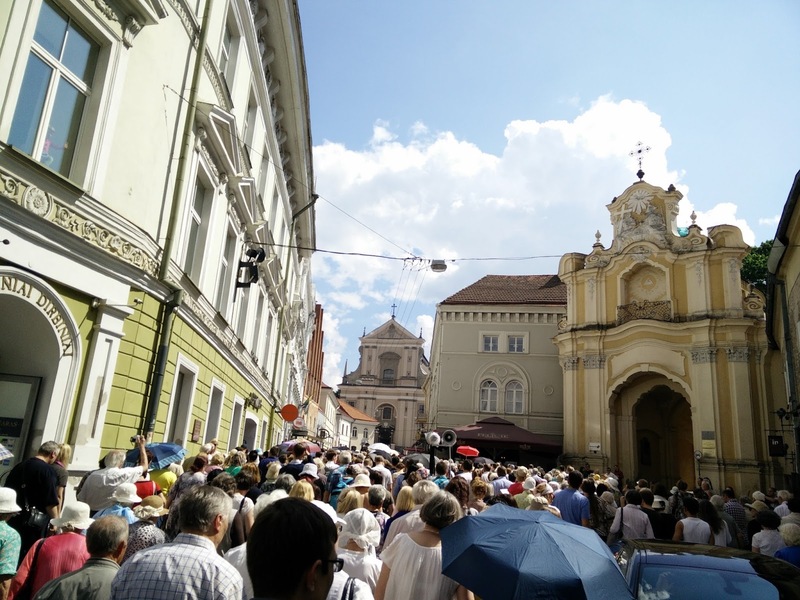 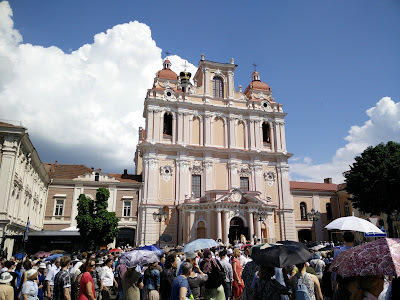 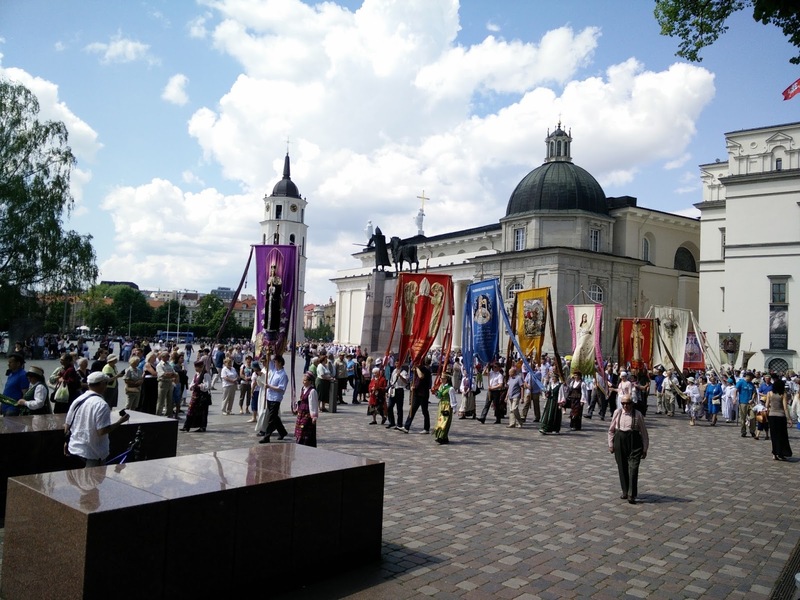 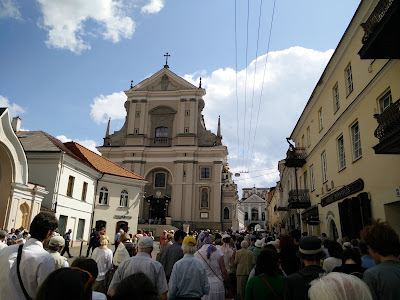 The procession went through the old city from the Cathedral of Ss Stanislov and Vladislov to the Gate of Dawn, the eastern gate of the city. 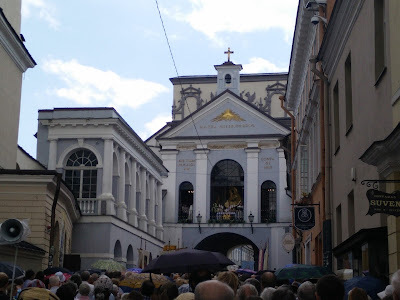 At the church of St Casimir (3rd photo) a Gospel was read. 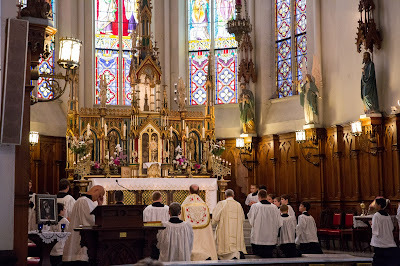 Benediction was given from the window of the Chapel of the Holy Mother of Mercy over the Gate of Dawn.